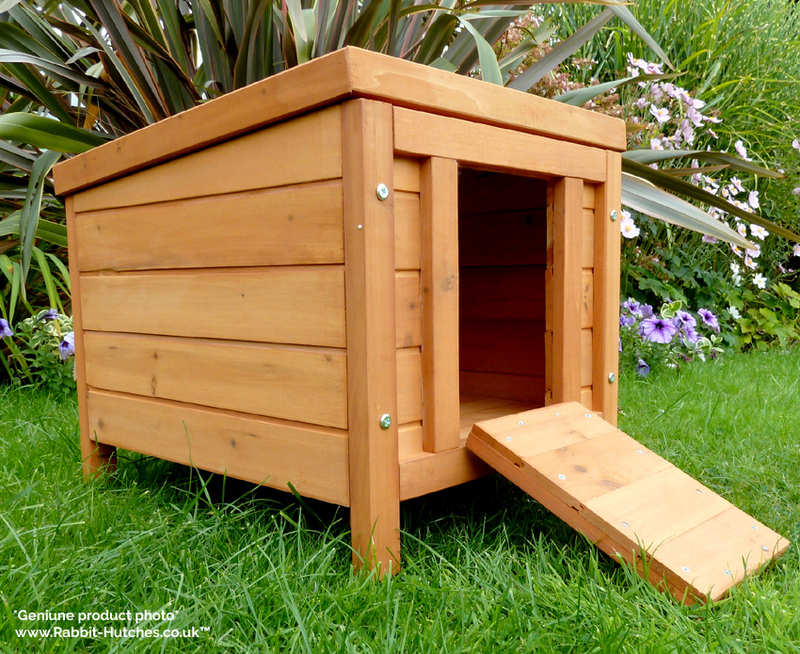 The perfect pet hideaway for all small animals including rabbits, guinea pigs, ferrets and even tortoises. 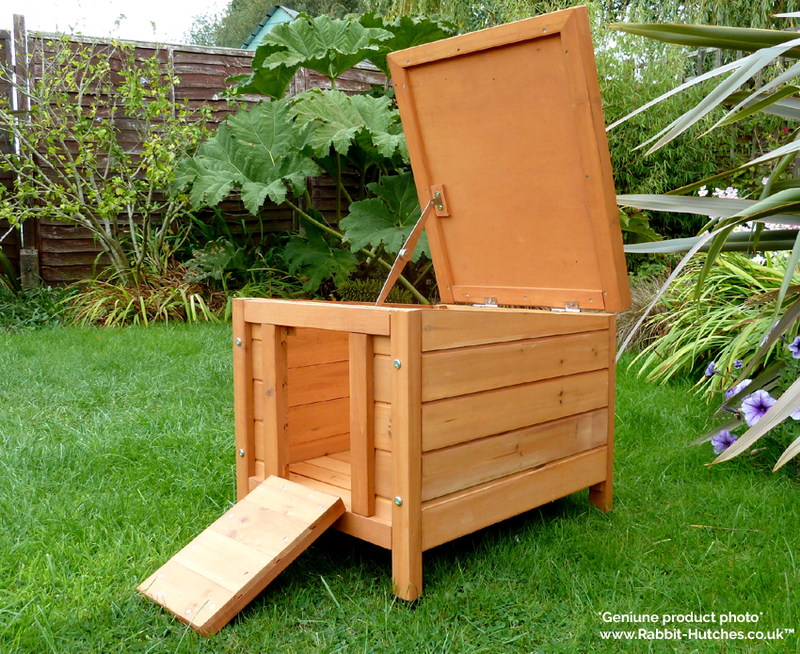 The rabbit hutch hideaway is the ideal addition to your rabbit run and will provide shelter from the sun or rain. It has been specifically designed to fit with our range of folding runs and is affordable and easy to construct. The liftable roof can be completely removed if needs be as too can the floor. This makes it very easy to clean out. 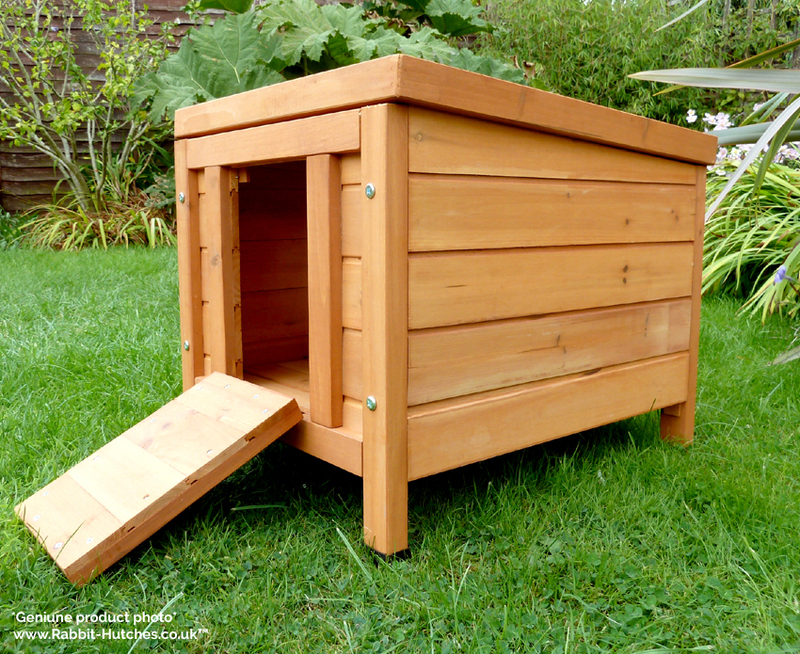 A lockable drop down ramp allows your pet access to the weatherproof and watertight interior. 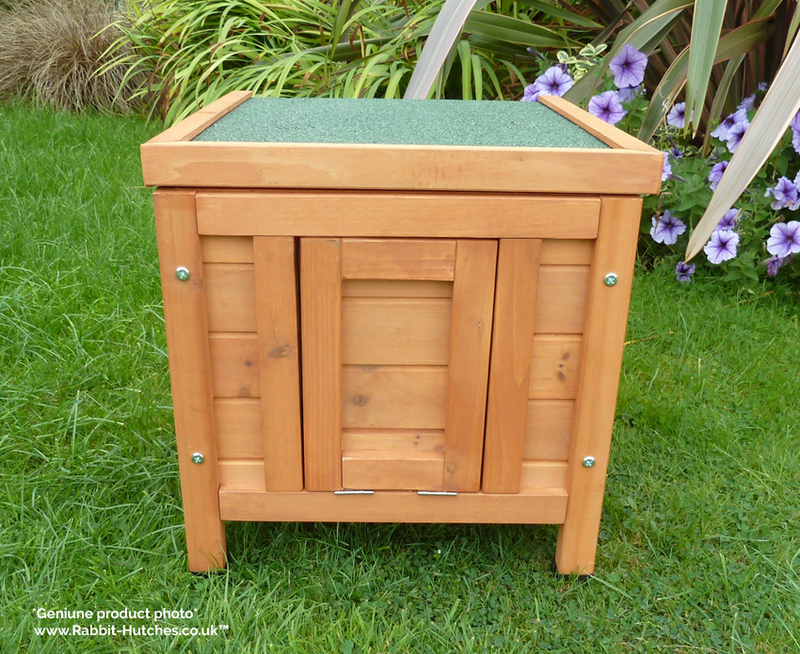 The inexpensive hideaway hutch is well made and designed to last for many years. In inches: H 17.3" x W 16.7" x L 19.6"
Included are the instructions with clear and concise diagrams. Each bag of screws or bolts is labelled and shown on the instructions so there is no confusion when you come to put the house together. Estimated construction time 10 to 20 minutes. We would like to think that our Hideaway Hutch is made to a higher standard than most other suppliers in its price range. While we have purposely used thicker, sturdier wood, wire and locks with the aim to make it as safe and secure as possible for your pets we cannot absolutely guarantee that foxes and other predators won’t try and target them.